Beyond the Eixample lies the low-rise barrio of Gràcia. 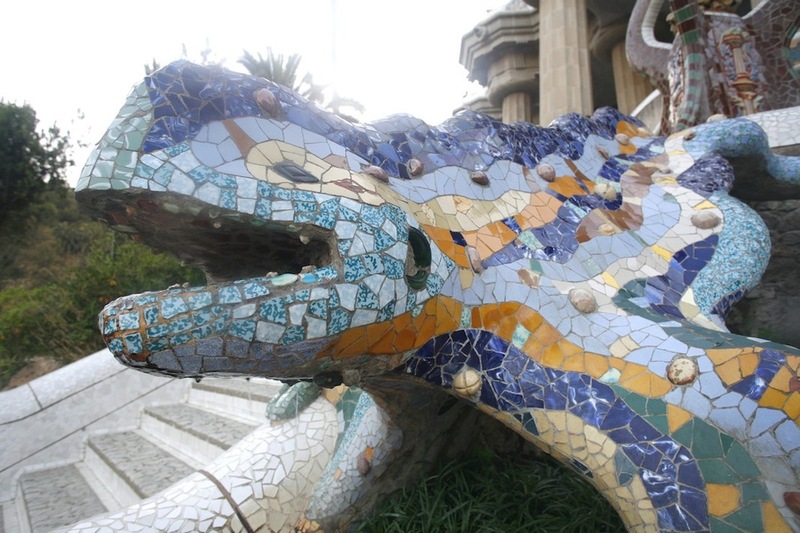 Like workaday Sants and well-heeled Sarrià, it was an independent town that was swallowed up as the city spread, but it retains its own identity and is one of the most popular and vibrant districts in the city. 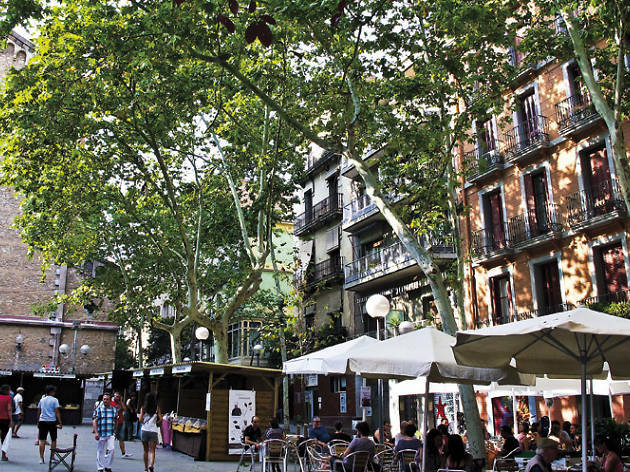 You can't think of Gràcia without thinking of its 'Festa Major', a district-wide weeklong street fair and party that takes over the barrio every August, complete with neighbourhood decorating competitions that are taken very seriously, and activities all day and into the wee hours. 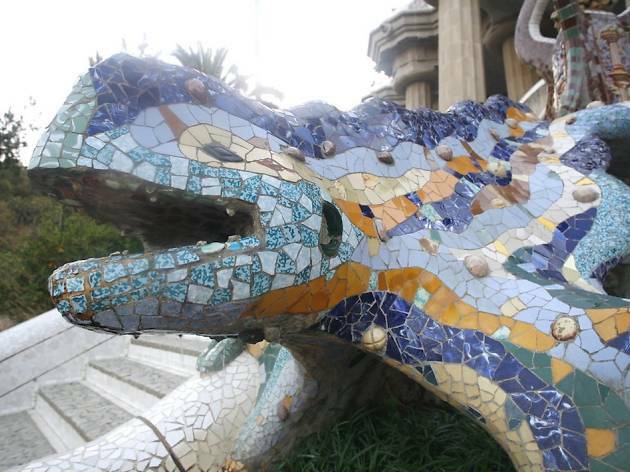 Architecturally, Gràcia can hold its own with the likes of the clock tower in Plaça de la Vila, the modernist Casa Fuster, Gaudí's Casa Vicens and, stretching the boundaries a bit, Park Güell. 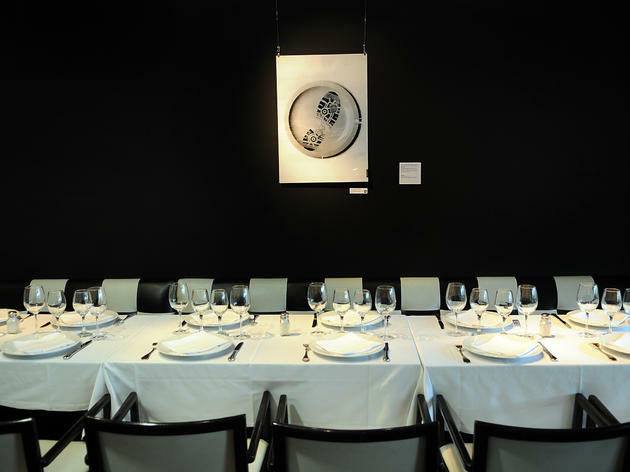 Gut is a very attractive restaurant, with its pristine white furnishings and venerable wooden chairs. It’s a small, elongated space, but thanks to the lighting they have made the most of it. They serve breakfast, lunch (a special menu at a very good price), dinner and drinks. Their modest menu offers a fusion of Mediterranean and Asian cuisine, with dishes such as prawn and mango curry and the tasty mushroom and foie brick. It’s always full, and with today’s economic problems, that says a lot about the place. 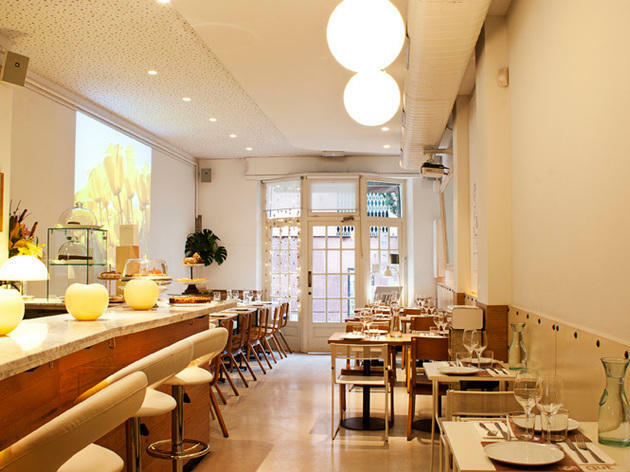 Contemporary Catalan cuisine that shies away from over-sophistication or pretentiousness. 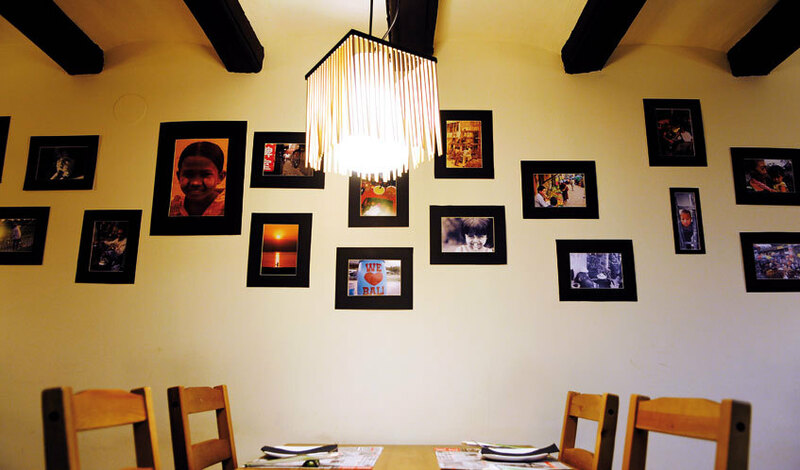 The menu is extensive, and you should come here armed with patience and a desire to enjoy a wide range of dishes at very different prices, but all of them top-quality! 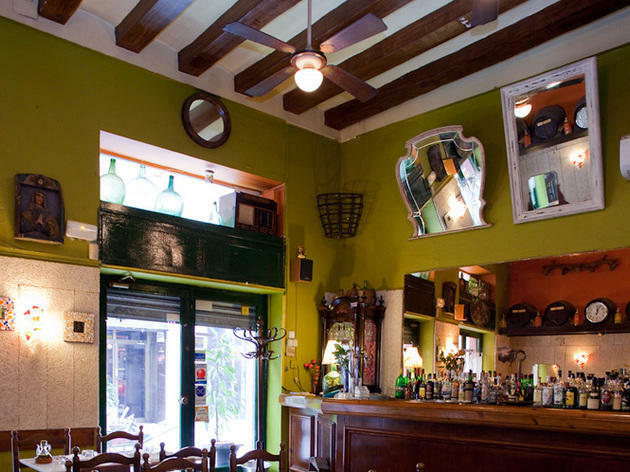 Imaginative tapas, special Mediterranean dishes of the day and fresh auteur cuisine. 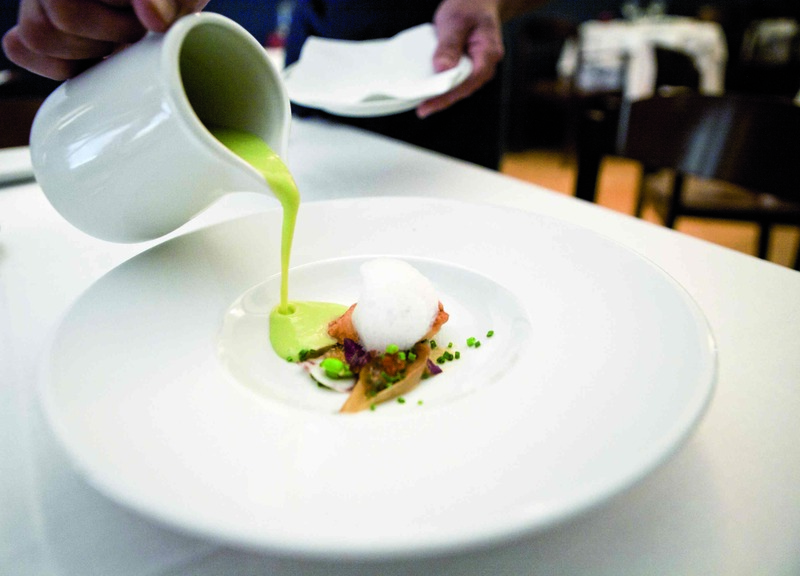 Chef Xavier Codina calls it ‘rumba cuisine’. An Asian restaurant with a difference: they don’t do fusion cuisine, they just take the best dishes from each country represented. The chef and owner, Jordi Brau, lived in Southeast Asia for seven years, and came back with recipes for tuna tartare, gyoza and nems which, for price and quality, set them apart from the rest. As they say here, tapas with chopsticks. Fantastic barbecued beef, done to a turn, wonderful chicken and tasty, juicy Argentinean cuts of meat. Very competitive prices. Somodó restaurant used to be called Shojiro. Chef Ochi has combined traditional Japanese cooking with Mediterranean cuisine, with dishes like poached egg on cream of anchovies or the excellent steamed turbot with mayonnaise fumet. While everyone else does tapas, Ochi goes for grand cuisine. 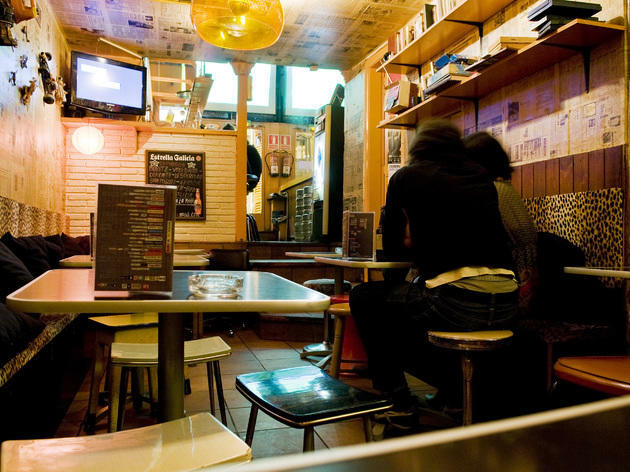 L’Entresol is probably the coolest bar in Gracia’s, mainly because of its commitment to a clean and contemporary design, a musical selection that's always updated to the latest world trends and their menu of G&Ts that will have you feeling like you've just drunk from the fountain of youth. Until the next day. The G&T with tea takes top billing. Beautiful people and some famous faces fill out the tree of this growing family. Winner of the 2011 Time Out award for best nightclub. 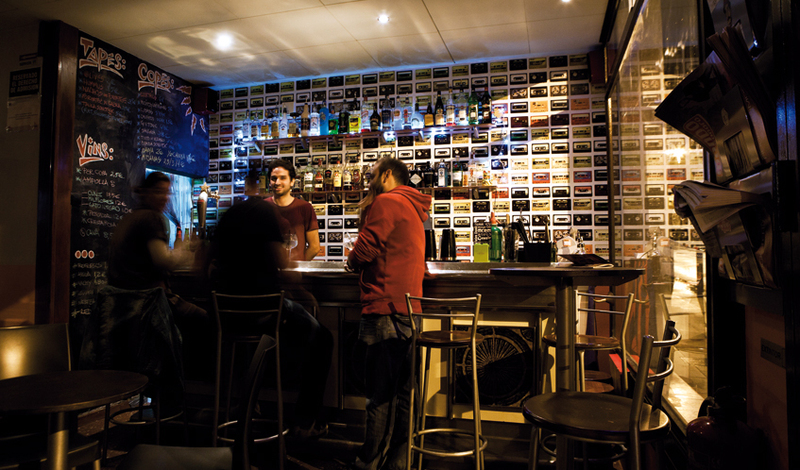 The wall behind the bar is painted with a mural of cassette tapes from the days of acid-washed jeans, hair gel and rolled-up jacket sleeves. In the toilet, a Stormtrooper points his laser gun at the caganers of the Rebel Alliance. And be warned, Darth Vader’s got the loo roll and he’s ready to strike with his lightsaber. May the Force be with you now more than ever. On the walls, a collage of posters including Mia Wallace getting up to her old tricks, Hunter S. Thompson creating panic in Las Vegas and Dirty Harry intimidating customers with his Magnum. On one of the columns is Charles Burns’s Borbah in his luchador mask in a series of six black-and-white vignettes. Banned books on an out-of-reach shelf. An old cassette player. A lava lamp. You are in a hotbed of geek culture. 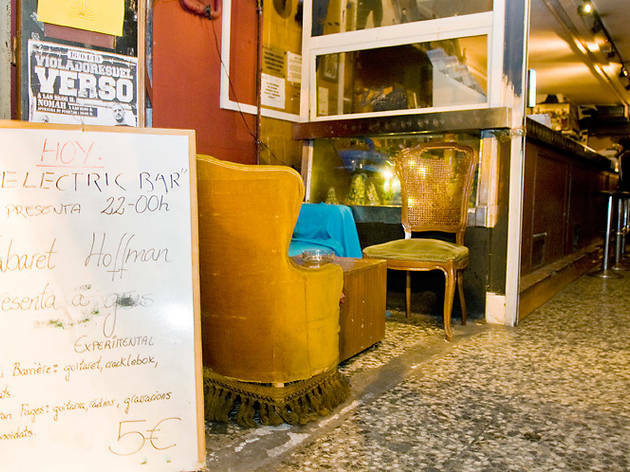 Up the slope of Gràcia, this one-of-a-kind spot has earned a solid reputation with its alternative clientele. I can’t think of a single place like it in the neighbourhood. This temple of geekdom, with its occasional live concerts, sets itself completely apart. 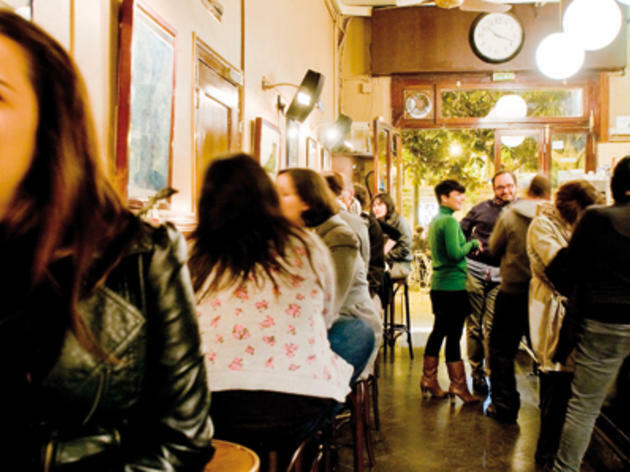 Geek culture, a sense of humour, excellent cocktails at shockingly low prices – an average of €6 each and a margarita that will blow your mind – indie music, life-changing tapas and a boundless passion for pop culture. With so much going for it, this cult bar is nothing short of a triumph. Like a man called Peter who names his son Peter, so is the Cafè del Sol. Why take unnecessary risks with fancy names when you're the king of a square where the sun always shines, the trees tickle the windows with their leaves and the dogs bark with glee. 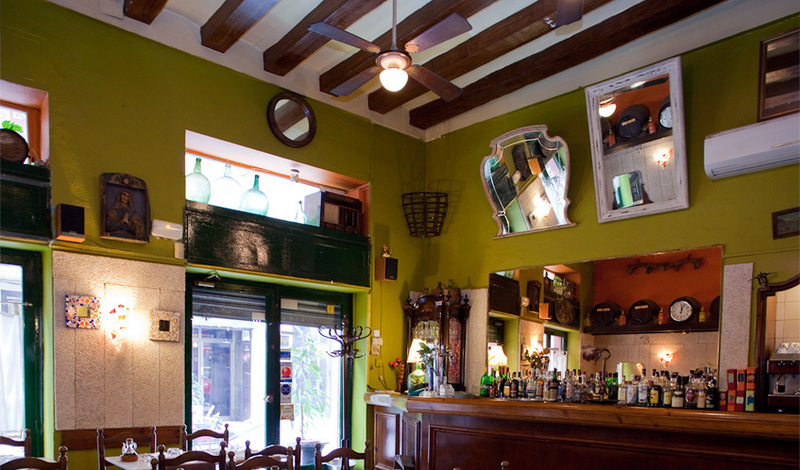 An emblem of the Gràcia neighbourhood, Cafè del Sol was one of the first bars to open in this most famous of Gràcia squares, which is a spot not only for sun worshippers, but also for barrio dogs and more than a few buskers. Cafè del Sol features a generous terrace peppered with metal chairs, where day and night, you hear patrons speaking local and world languages, not understanding each other until the waiter comes over, when everyone knows how to order a 'cervesa'.If you're not into the uneven sunburn sitting in squares can lead to, inside the bar is like a Gothic cathedral – nice and cool, and a good retreat for the more freckly among us. There's a lovely marble bar, where you can look over the homemade dishes of the day before ordering and sitting at a table while reading the paper. 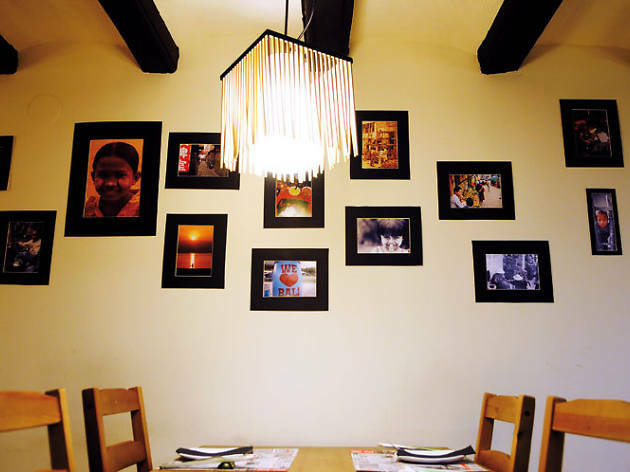 The staff are friendly and the service, while it make take longer in warmer terrace-packed months, is quick and attentive. And if you are inside and don't get a chance to enjoy the constant stream of penny whistle players, the music from the speakers is loud enough to tap your foot to, but quiet enough to talk to friends over a candle lit on your table. This tea shop named after an Indian island features carved wood stools and tables decorated with a collage of images from newspapers and magazines. Sit a spell and play chess or other table games while you have a cuppa. 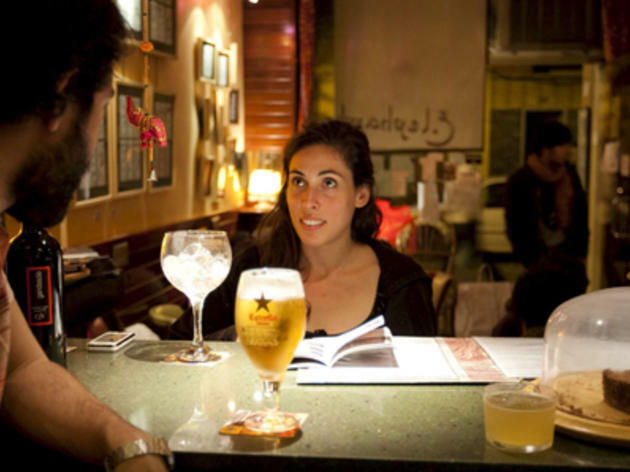 After 10pm, enjoy the 'happy hour' menu of gin and tonics and other cocktails. You won't even miss a message on your mobile thanks to their WiFi connection. A charming, quick and polite waitress zips around attending to the customers. 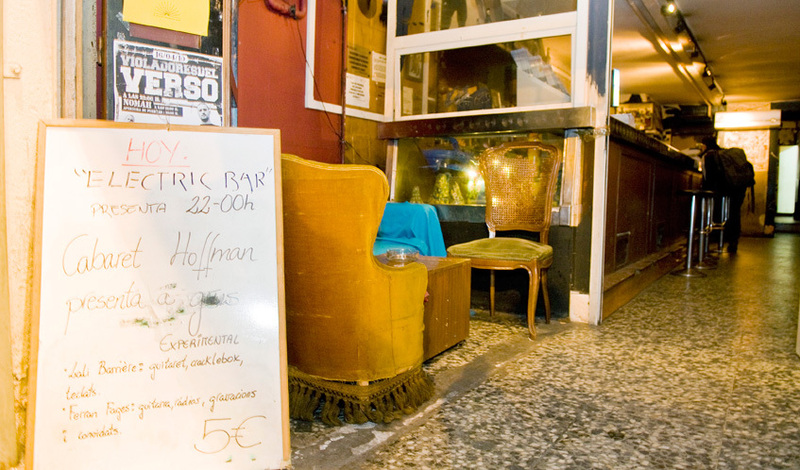 You'd never think such quality and friendly service would be found behind Le Journal's dodgy dive-bar façade. Ah, but in this bar we have to make an effort to look the whole place over, from top to bottom, and put up with the stale air and the guitar screech from the speakers. What beautiful chaos.Everything you thought you knew about recycling will fly right out the windo once you enter the main room. If you find a matching set of chairs, let me know. 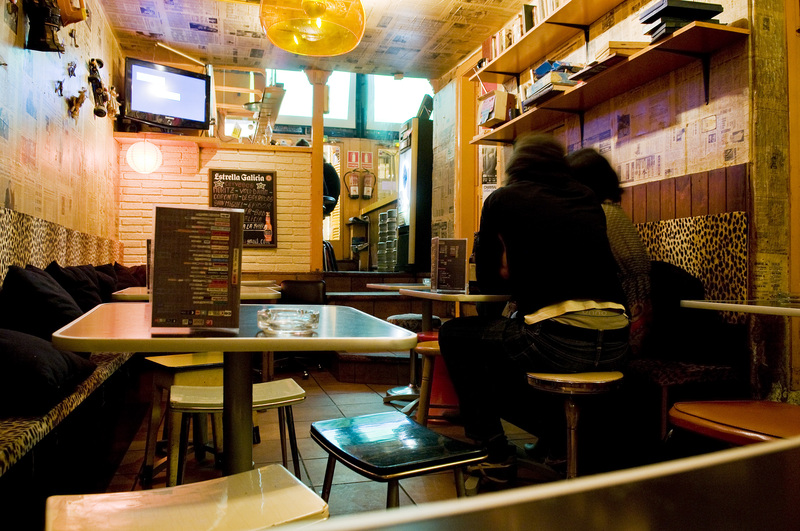 In fact, even at the bar, all of the stools are completely different. 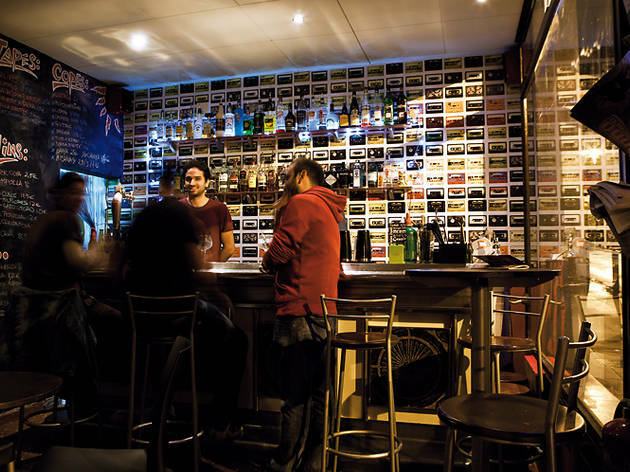 The name of the bar was no accident: the walls are covered with newspaper, and hanging all over the place is a collection of objects – from a trumpet to old toy cars – that seems to have been arranged by a decorator in a blindfold. On the ceiling, a lamp from the '60s casts a ray of orange light that will have you wishing you'd brought your shades. 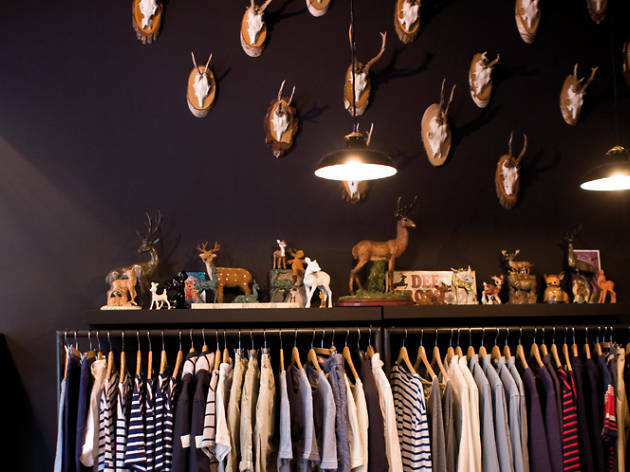 Àlex González has reinvented the clothes shop Boo without leaving the Gràcia neighbourhood or losing the essence of what makes it special. 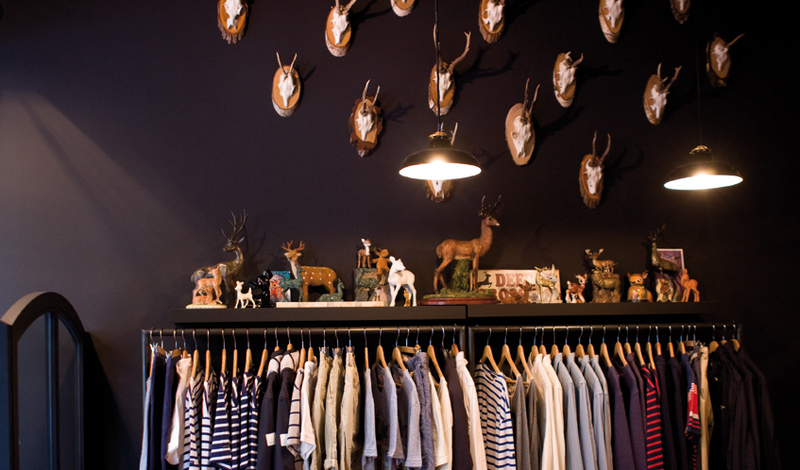 They stock international brands such as Saint James, Penfield and Levis, and items from independent designers including Tuk Tuk and Plectrum. 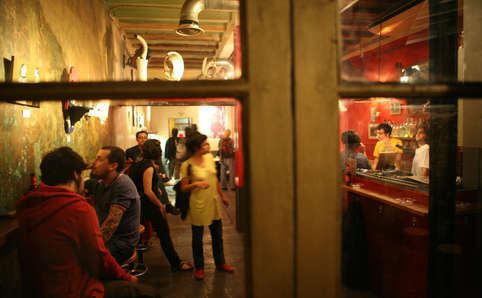 Check it out, even if just for the fun of getting changed in a 1920s Barcelona telephone cabin. 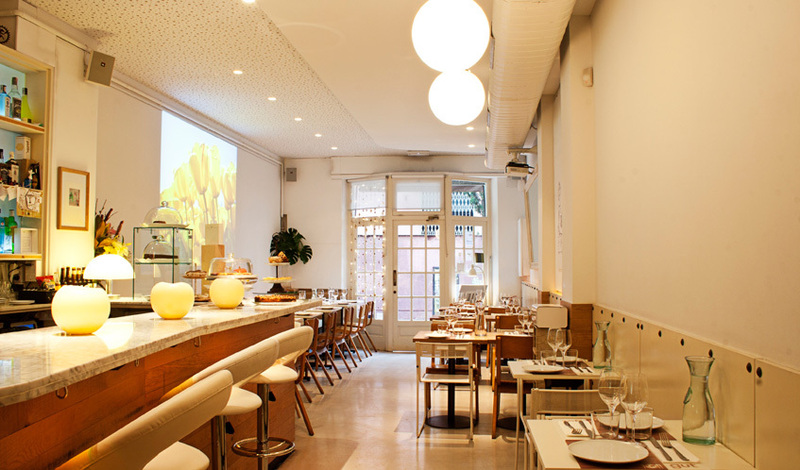 The osleñas, as the creative team of the Oslo project call themselves, run this space that features the work of some 40-odd artists and artisans in Gràcia. 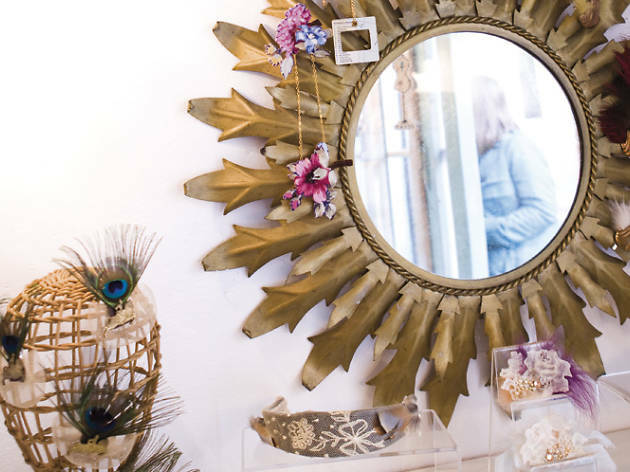 This is not your typical shop but a place of refuge for those who want to introduce themselves to the DIY lifestyle. Throughout the year they put out monographs (books specialising in one subject), so keep an eye out. 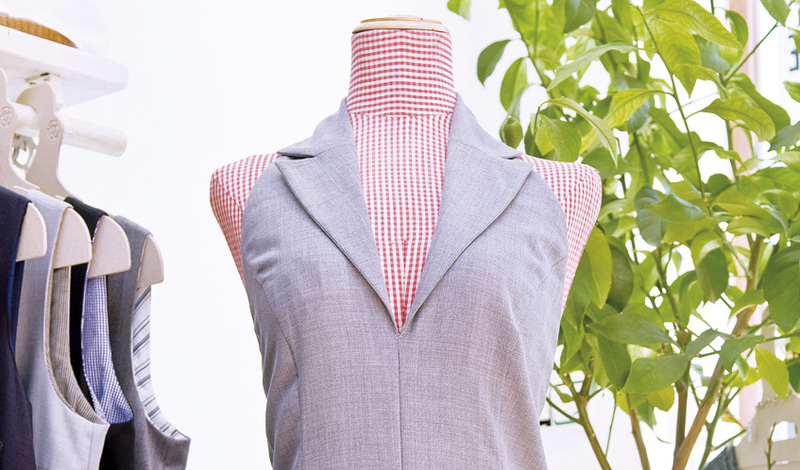 Pinc Store is the shop, workshop and creative lab of Ana Tichy, a designer who works with and reworks sewing patterns, stretches the boundaries of the textiles she uses, and also includes embroidery in her collections. 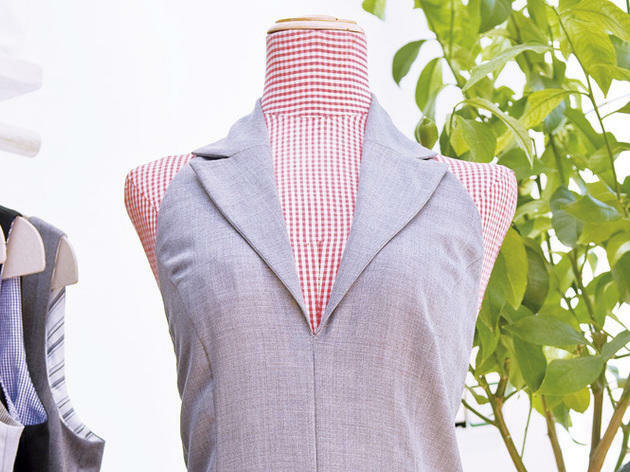 A manifest, a set of ethics, a price: none of the garments or accessories found at GreenLifeStyle break the principles of sustainability, recycling and fair trade. Another unwritten rule is support for design. We love the Milch jumpsuits, the knitted pieces from Caro-e, the colours of the Maronskis and the silhouettes from Las Racines du Ciel. Dress for winter with a hat and a knit sweater from Carolina Simón. 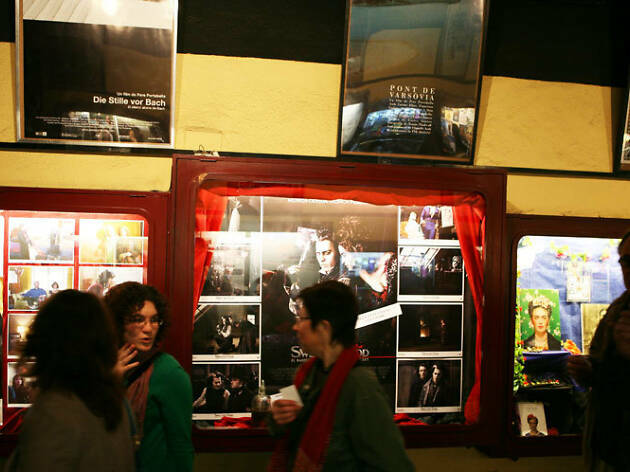 The five-screen Verdi and Verdi Park, its four-screen annexe on the next street, have transformed this corner of Gràcia with a diverse programme of independent, mainly European and Asian cinema. At peak times, chaos reigns; arrive early and make sure you don't confuse the line to enter for the line to buy tickets. This alternative theatre offers high-quality plays and dance performances, including some in English and an entire programme just for kids. 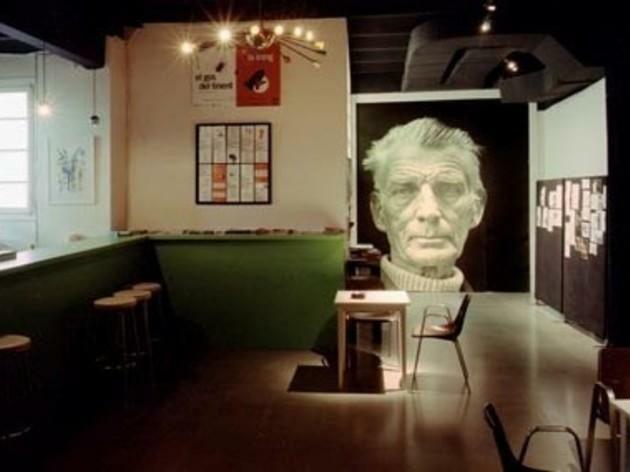 This small but important venue was founded by the Samuel Beckett–inspired Teatro Fronterizo group, run by playwright José Sanchís Sinisterra. He's no longer based at the theatre, but his influence prevails. 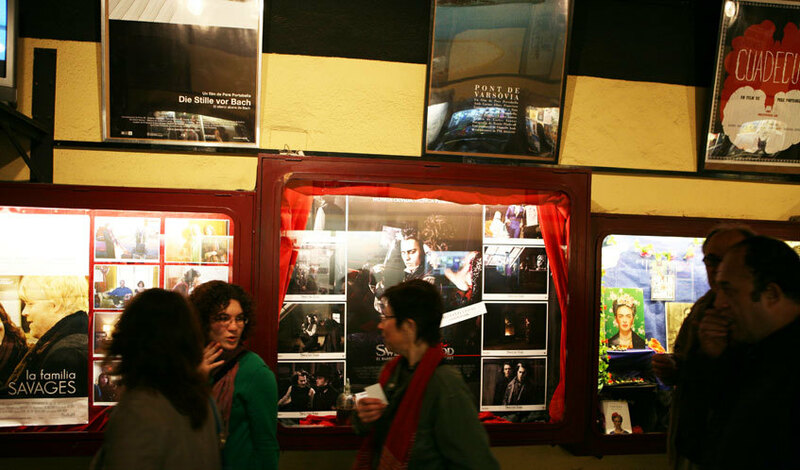 Since its inception the theatre has promoted contemporary dramatists and has shown a visible interest in experimentation and in new forms of dramatic writing. 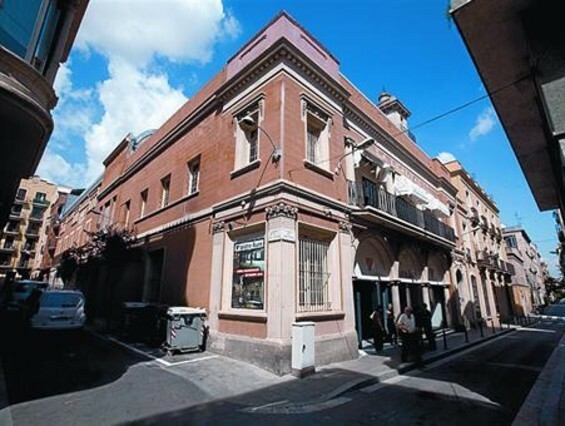 Sala Becket also offers an intense programme of education and training in workshops and seminars. 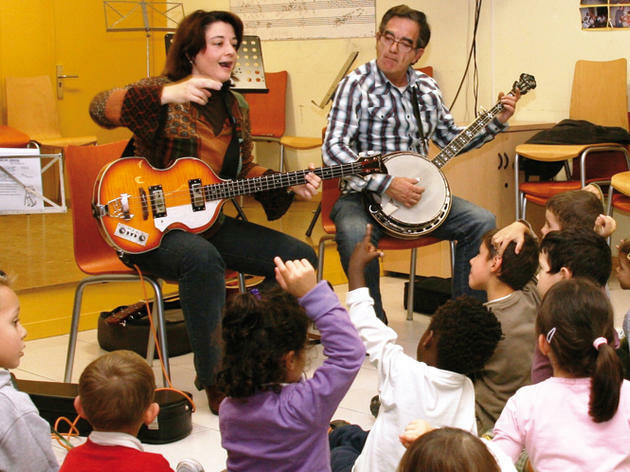 The CAT is city group that runs the Associació Cultural TRAM (organisers of the Festival Tradicionàrius, the most important traditional music festival in Catalonia) and opened the L’Artesà civic centre in Gràcia in 1993. 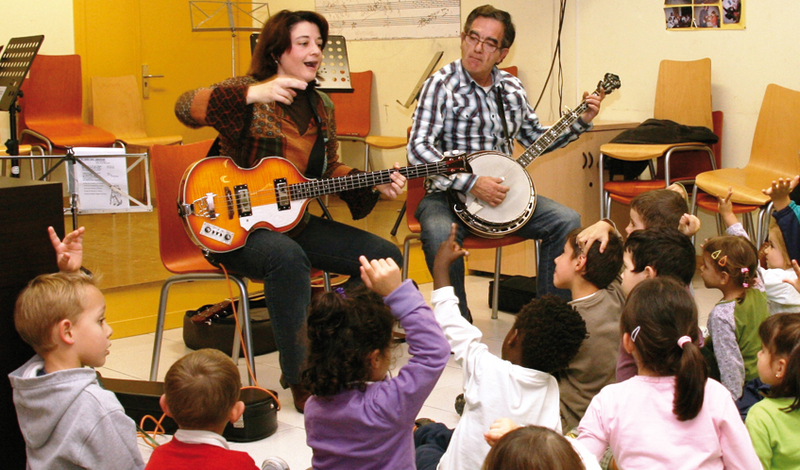 The CAT regularly organises concerts, dances and improvisation sessions, as well as workshops and traditional music performances. It’s been some time since Shake It! 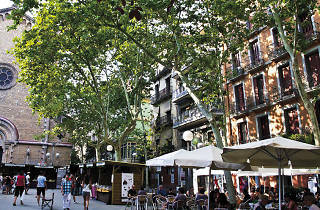 opened its doors, and Gràcia is still celebrating. The brains behind this operation are a three-person team: Sandro and Antonio, from the Rocksound bar, and Perico, from Buenritmo Records. The hits, the great music and the drinks created a spark that has everybody on fire. Shake It! 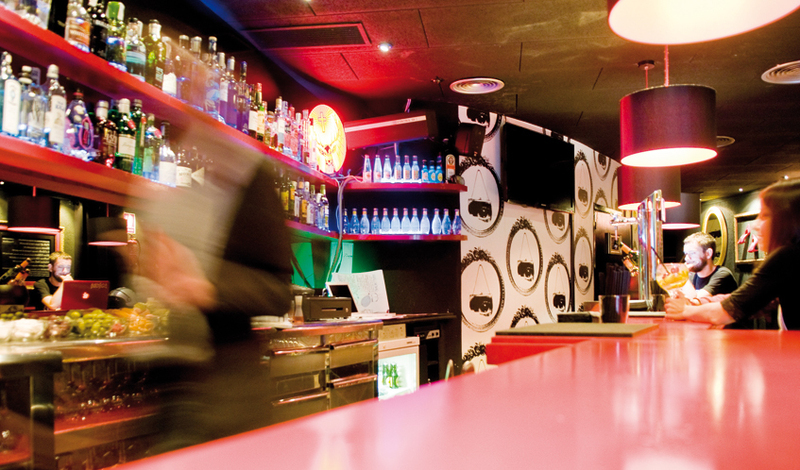 is a two-floor club with a wide variety of musical options. What do they play at Shake It!? Everything you can think of, from rocksteady to Northern soul, upbeat pop to wild garage, soul and funk to infectious dance hits. And what makes it different? 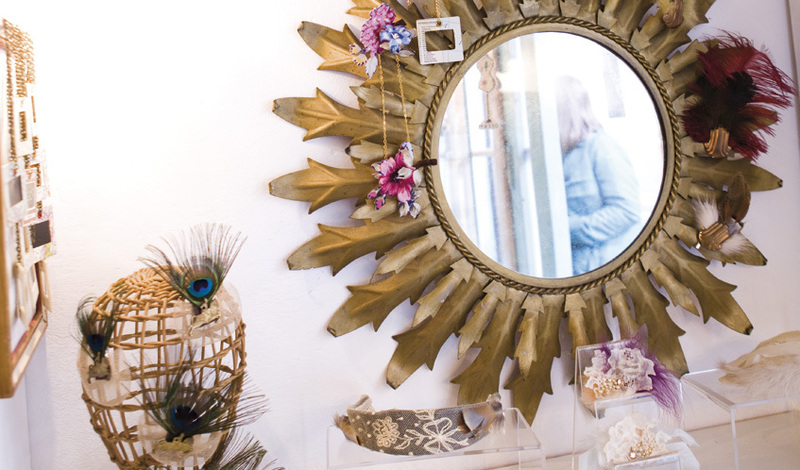 The sounds of indie music and a long menu full of tasty G&Ts served with all the right little adornments. Not to mention several monthly and bimonthly events, such as gin and tonic tastings, music discussion forums and fanzine presentations. 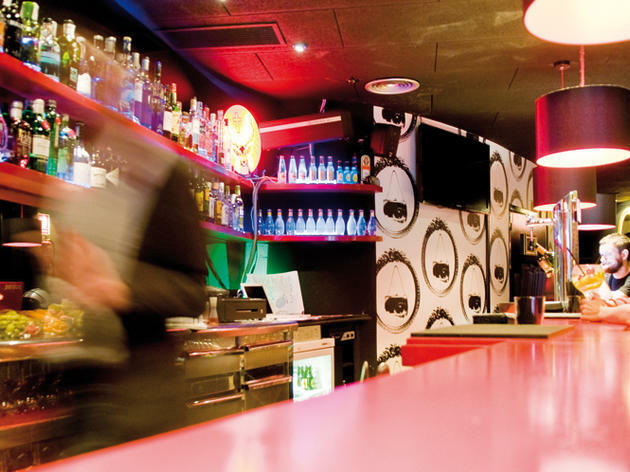 This centre of great music in north Gràcia guarantees amazing nights full of ‘hits and tonics’, one right after the other. So drink and enjoy the music until you forget all your worries, lose your balance and your shame, and find that fantastic happy place that only the best clubs can bring you to. This is the sound of a neighbourhood bar for young people who want fair prices and care more about the music in the joint than some fancy furniture. Elèctric has a carefree, indie air about it, like being in your best friend's living room where all you have to do is kick back and relax. 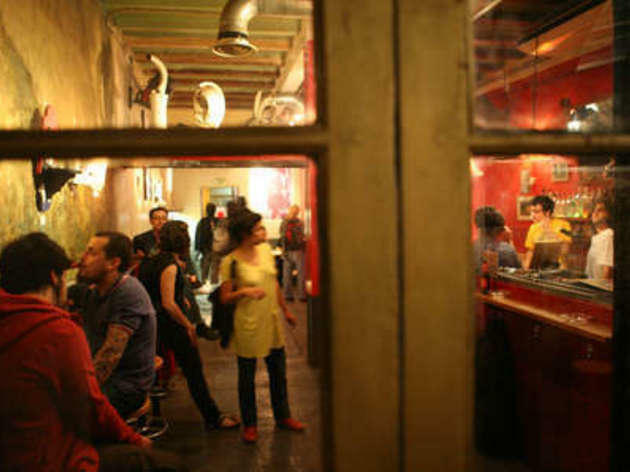 At the back is a comfy lounge where they regularly host concerts by local underground bands, jam sessions, and rumba, folk and electronica acts. It's just the right blend of concert hall and alt bohemian bar. This is a warehouse full of nighttime memories run by those passionate about collecting. At the weekend, they play host to a group of others who share their nostalgia and are not satisfied with the nocturnal and musical trends of the last couple of decades.